Trekked up to Poughkeepsie this weekend to Hudson Valley ComicCon to meet with some friends and do a little shooting. 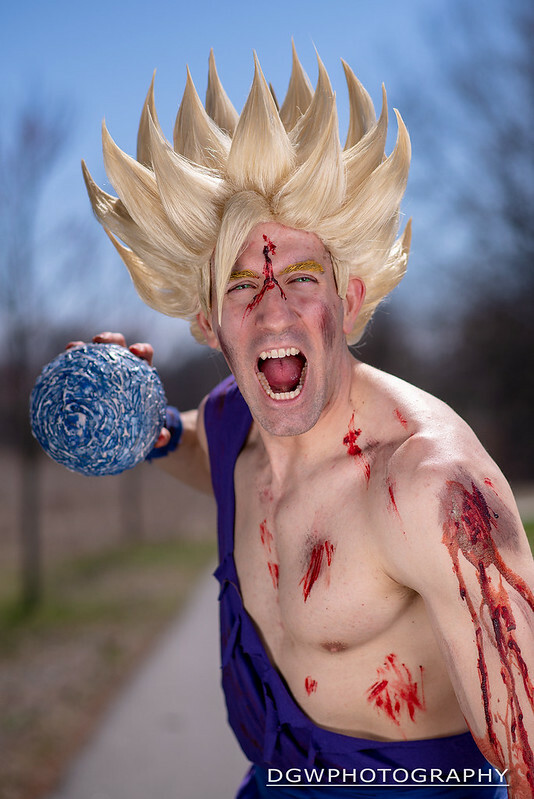 This is Kevin as Super Saiyan Gohan from DragonBall Z - lit with a Godox AD200 through a 26" Octabox on camera right, and a silver reflector on camera left for some fill. I'm getting more and more used to the Nikon D850, and am just beginning to grasp just how capable this camera is.